Noodle's database includes every not-for-profit program in the country. If you're an administrator register now to claim your school profile. Claim your school to drive engagement and awareness through branding, content, and sponsorship. Invite faculty, students, and staff to represent your school as Noodle Experts — who can chat with prospective students about programs, admissions, financial aid, and more. Enhance school profiles with rich photography, calls-to-action, alumni stories, and more. Improve application and enrollment rates with prospective student inquiry forms. Leverage Noodle’s database to reach target students with branded emails and school featured placement. 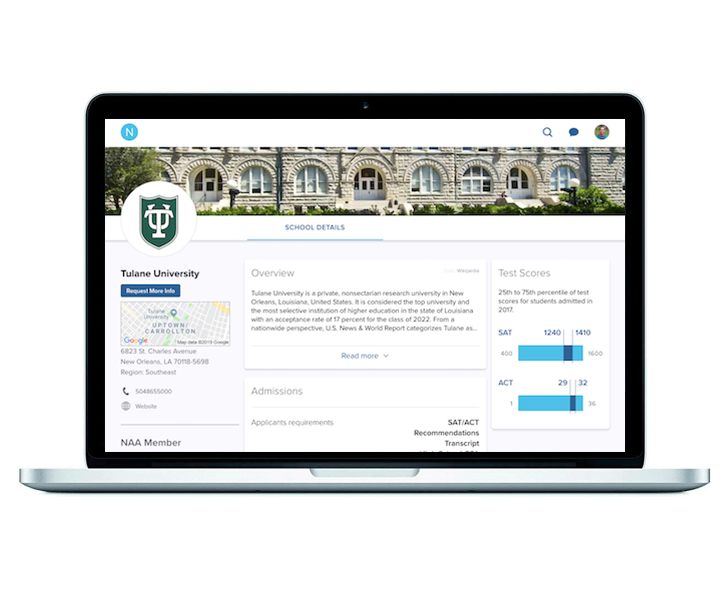 Publish news, updates, original content and more to your school profile—keeping prospective students in the know.